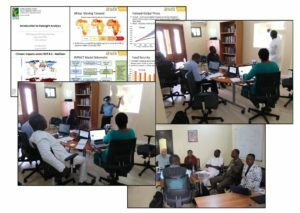 With several members of AGRODEP and governmental/university researchers from Nigeria, Uganda, and the Ivory Coast, in September 2016 I led a successful training workshop focused on using strategic foresight analyses to inform the review and development process of country-level National Agricultural Investment Plans (NAIPs). We first worked to develop a common understanding of the basic theory behind using scenarios and structural modeling to generate an evidence- and science-based perspective aimed at informing the agricultural/food policy process. 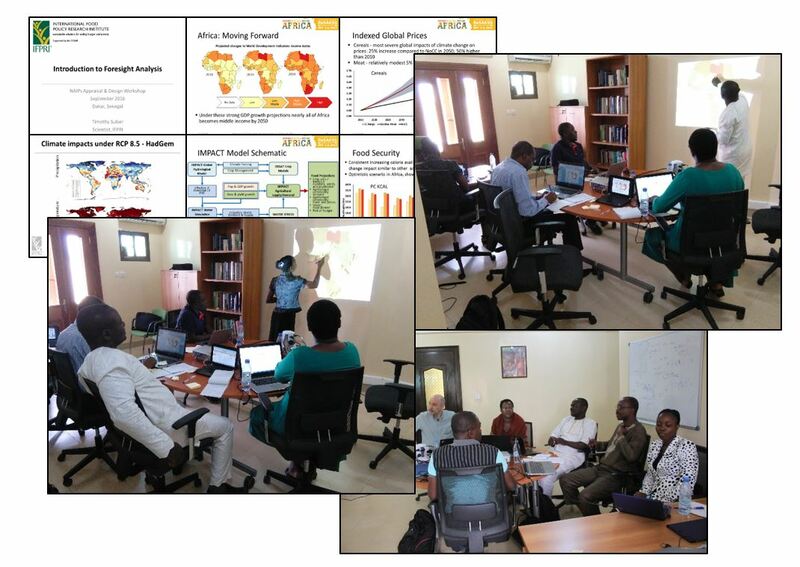 Afterwards, we “dove into the deep end” of foresight analysis with a hands-on practical exercise to jointly develop our own scenarios for possible future trajectories of the agricultural economies of Sub-Saharan Africa. These scenarios focused on (1) the impact of violent conflict on the agricultural sector and (2) the potential impact of increased investment in agricultural research and development if more of Sub-Saharan Africa were to achieve the goals set out in the CAADP agreement. This workshop was just a first step along the path to build national and regional level capacity for using strategic foresight studies to inform agricultural and food policy processes for the participants. We look forward to future interactions! This workshop was supported by IFPRI’s West and Central Africa Office (WCAO) in partnership with the African Union Commission (AUC) and the New Partnership for Africa's Development (NEPAD) Planning and Coordinating Agency. The foresight work upon which this workshop was based was supported by funding from the Bill & Melinda Gates Foundation and the CGIAR Research Programs on Policies, Institutions, and Markets (PIM) and Climate Change, Agriculture, and Food Security (CCAFS) to GFSF.